Ms. Lombardo has over 27 years of combined medical and Information technology experience now leading the charge in Cyber Security. In her 27 years she has accomplished a diversified range of accomplishments in various business sectors including the Medical Industry, Service Sector, Food Service Productions for multi site locations and Telecommunications. She was instrumental in setting up Client Care, Full ERP implementation, Information Technology administration and Cyber Security protection. Ms. Lombardo’s story is unique in that as luck would have it her computer was compromised by a hacker while implementing our PACE website that led her to go back to school to study Information Technology and earn another degree with a concentration in Cyber Security. It was that moment in her career that she felt the strong need to stop these hackers and take action. Today she has completely changed her profession to Cyber Security to keep the internet highways safer each day. The passion and drive she possess for learning and seeking new challenges within in this industry is strong. 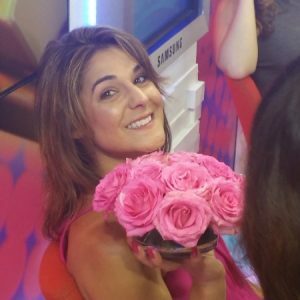 Ms. Lombardo is constantly seeking ways to strengthen and develop new skills that she can take to your facility to the next level of security and improve your market position. 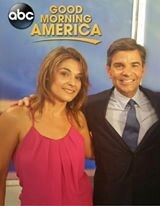 Ms. Lombardo made her debut on Good Morning America several years ago as a guest of George Stephanopoulos and had an opportunity to tour the studio including the media room to learn about the GMA security protection platform. She holds a Bachelor’s Degree from Southern New Hampshire University in Information Technology and is in pursuit of her Masters in Cyber Security.